Result of the National Assembly election as released by the Independent National Electoral Commission (INEC) last week showed that several members of the federal legislature, who won their parties’ primaries last October lost at the rescheduled election held across the country on Saturday, February 23. In the Senate, out of 66 Senators, who ran for last Saturday’s parliamentary poll, 39 were successful while 27 others failed to make it back to the upper legislative chamber. Top on the casualty list is the President of the Senate, Dr. Bukola Saraki, who lost his Kwara Central senatorial seat to Dr. Ibrahim Oloriegbe of the APC, while the Chairman of the Senate Committee on Banks, Insurance and Other Financial Institutions, Senator Rafiu Ibrahim (PDP Kwara South) lost to Lola Ashiru of the APC. In Abia State, only one of the three Senators is not returning to the 8th Senate in June. It is Senator Mao Ohuabunwa representing Abia North on the platform of the opposition Peoples Democratic Party (PDP), who lost to a former governor of the state and candidate of the ruling All Progressives Congress (APC), Orji Uzor Kalu. Senator Binta Marsi Garba (APC Adamawa North) was defeated by Ishaku Cliff of the PDP while Ahmadu Abubakar (APC Adamawa South) also lost his return bid. Other Senators, who lost in their return bid include Nelson Effiong (APC Akwa Ibom South); former two-time governor of Akwa Ibom state and erstwhile Senate Minority Leader, Godswill Akpabio (APC Akwa Ibom West); Victor Umeh (APGA Anambra Central); Andy Ubah (APC Anambra South); Isah Misau (PDP Bauchi Central); Suleiman Nasif (PDP Bauchi North); Barnabas Gemade (SDP Benue East) and George Akume (APC Benue West). Also on the losers’ list are Senators Duro Faseyi (PDP Ekiti North); Senate Minority Leader, Biodun Olujimi (PDP Ekiti South); Muhammadu Shitu (PDP Jigawa North East); Shehu Sani (PRP Kaduna Central); Suleiman Hunkuyi (PDP Kaduna North); Ahmed Obembe (PDP Kogi Central); Atai Aidoko (PDP Kogi East); Suleiman Adoke (PDP Nasarawa South); Tayo Alasoadura (APC Ondo Central); Yele Omogunwa (APC Ondo South); Adesoji Akanbi (APC Oyo South); Monsurat Sunmonu (ADC Oyo Central); Ibrahim Dambaba (PDP Sokoto South) and Mohammed Hassan (PDP Yobe South). However, in the House of Representatives, it was an all-round defeat for the PDP in Kwara State. In Ilorin West/Asa federal constituency , Alhaji Abdulyekeen Alajagusi of the APC defeated Hon. Abdulrazaq Mohjammed Lawal of the PDP. For Ilorin South/Ilorin East federal constituency, Abdulganiyu Cook Olododo of the APC ousted Hon. Abdulwahab Oladimeji Issa of the PDP and it is the same story in Ifelodun/Offa/Oyun federal constituency where Tijani Kayode (APC) defeated Hon. Olarinoye Tope Olayonu. In Patigi/Edu/Moro federal constituency, PDP lawmaker, Hon. 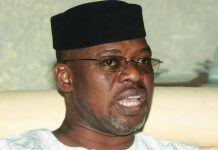 Hassan Mahmud Babako gave way to Ahmed Ndakenne of the APC, who defeated him at the poll. Hon. Abubakar Musa of the PDP was also defeated in Baruten/Kaiama federal constituency by Malam Mohammed Bio (APC). Olawuyi Abdulraheem (APC) also emerged victorious over Dare Bankole of PDP in Ekiti/Irepodun/Isin/Oke-Ero federal constituency. In Etinan/Nsit Ibom/Nsit Ubium federal constituency, the Speaker of Akwa-Ibom State House of Assembly, Hon. Onofiok Luke defeated Hon. Akpan Daniel Effiong. It was similar scenario in Eket/Onna/Esit Eket/Ibeno federal constituency, where Patrick Nathan Ifon of the PDP won. Nwankwo Ferdinand Dozie of the All Progressives Grand Alliance (APGA) representing Anaocha/Dunukofia/Njikoka federal constituency of Anambra State lost his seat to Valentine Ayika of the PDP. For Ihiala federal constituency, Hon. Chukwuemeka Anohu was thrashed by Muoma Ifeanyi of APGA. Hon. Sopuluchukwu Ezeonwuka of PDP’s return bid failed in Orumba North/South federal constituency. Okwudili Ezenwankwo of APGA will be the next representative of the people from that constituency. Azodo Eucharia of PDP also lost his re-election to Oba Umeorji of APGA in Aguata federal constituency and the lawmaker, who represented Oyi/Ayamelu federal constituency, Hon. Onyewife Gabriel (APGA) was defeated by Vincent Ofumelu of the PDP. In Edo State, INEC declared Mr. Omoregie Ogbeide-Ihama, the candidate of the PDP as the winner of Oredo federal constituency, with 32,895 votes. Ihama defeated seven other candidates, including the incumbent APC candidate, Iyoha Osaigbovo, who emerged second with 23,352 votes. Similarly, INEC declared Mr. Dennis Idahosa (APC) winner in Ovia federal constituency. He polled 28,509 to defeat the incumbent, Ms. Omosede Igbinedion (PDP), who scored 23, 345 votes. The decision by the member representing Ego/Ikpoba Okha federal constituency of Edo State, Hon. Ehiozuwa Johnson Agbonayinma, to defect to the APC cost him his re-election bid. The lawmaker was defeated in the election by PDP’s Jude Idehen. In Ekiti State, the PDP candidate and House member for Ekiti South II federal constituency, Segun Adekola, who polled 25,707, will not be part of the next assembly, because former Chief of Staff to Governor Kayode Fayemi, Mr. Yemi Adaramodu, won the election with 41,864 votes. Hon Ayodele Oladimeji representing Ado Ekiti/Irepodun-Ifelodun federal constituency in Ekiti State did not win his re-election too. He was defeated by Fatoba Olusola Steve of the APC. In the Federal Capital Territory (FCT), Alhaji Hassan Sokodabo of the PDP defeated the incumbent member for Abaji/Gwagwagalada/Kwali/Kuje federal constituency, Aliyu Angulu. APC’s Karu Elisha will replace Hon. Binta Bello Maigari of the PDP as the representative for Kaltungo/Shongom federal constituency of Gombe State in the ninth assembly. INEC’s Returning Officer in Katsina State, Dr. Godwin Ojochogu, declared the APC candidate, Salisu Isansi, as winner of Katsina Federal Constituency, with a score of 58,314 votes to defeat Aminu Chindo of the PDP, who scored 21, 454 votes. Out of the 24 House of Representatives federal constituencies in Kano State, APC won in 19. In Rano/Kibiya/Bunkure federal constituency, the incumbent Speaker of Kano State House of Assembly, Kabiru Alhassan Rurum emerged victorious. He polled 62, 455 votes to defeat the candidate of the PDP, Sani Muhammad Aliyu Rano, who scored 33, 296 votes. Also, in Takai/Sumaila federal constituency, former Senior Special Assistant to President Muhammadu Buhari on National Assembly Matters, Abdurrahman Kawu-Sumaila, won the House of Representatives seat, ousting Hon. Garba Umar Durbunde of PDP. Meanwhile, the two chambers of the National Assembly failed to reconvene last Tuesday. At the Senate, with only eight members of the 109-man Senate at the resumption of Senate plenary, the upper chamber of the National Assembly yesterday adjourned plenary by two weeks due to lack of quorum. 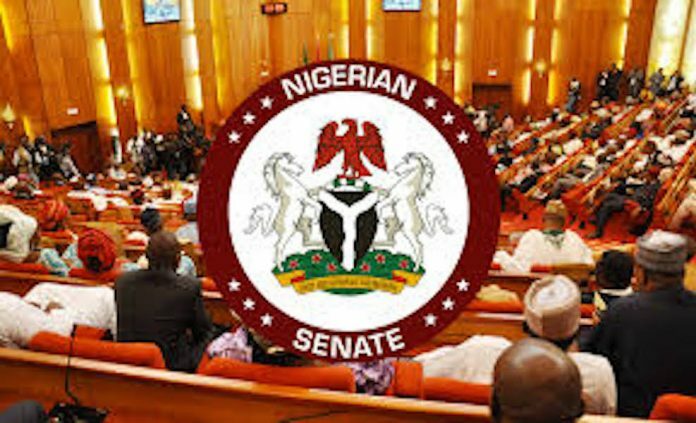 The Senate had on January 24 adjourned plenary to enable Senators to participate in the National Assembly election rescheduled for February 23 and was to resume plenary yesterday. Upon resumption of plenary, the Senate after considering the vote of proceedings of January 24, as read by Senate President, Dr. Bukola Saraki, adjourned sitting till Tuesday, March 12, to enable its members be part of campaigns for the governorship and state assembly elections coming up on March 9. 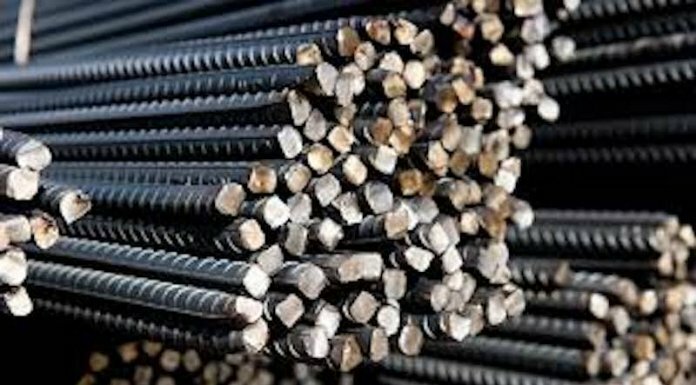 When the Senate President called the Chamber to order, to kick-start the business of the day, only eight Senators including the Deputy President of the Senate, Ike Ekweremadu, were present. With this development, Senate Leader, Senator Ahmad Lawan, quickly observed that the Senate could not deliberate on any issue, because the required quorum of one-third which is 37 out of 109 was not formed as stipulated in Order 10 (1) of the senate standing rules. 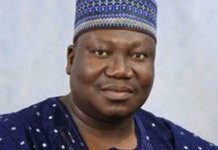 Lawan explained that many Senators were still held back in their senatorial districts, because the results of their elections had not been announced by the Independent National Electoral Commission (INEC). 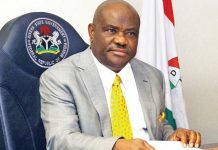 He, therefore, moved that the Senate should adjourn sitting till March 12, expressing optimism that INEC would conduct the governorship and state assembly elections on March 9 as scheduled. Senate Minority Whip, Senator Philip Aduda, seconded the motion and it was unanimously approved. The Senators at plenary include Saraki, Ekweremadu, Lawan, Sola Adeyeye, Aduda, Abu Ibrahim, Fatima Raji-Rasaki and Gbenga Ashafa. Senate President, in putting the adjournment issue before his colleagues, expressed concern about the delay by the eight-man Senate ad-hoc committee on the National Minimum Wage Bill headed by Senate Chief Whip, Senator Sola Adeyeye, to submit its report. Responding, Adeyeye explained that the delay was caused by the failure of the committee to sit as members could not turn up due to preparations for penultimate Saturday’s presidential and national assembly elections. He also told his colleagues that he made efforts to cause the committee to work on the bill through electronic deliberation but did not get the attention of other members. On whether his committee could conclude its assignment in the next two weeks, Adeyeye said he has some health challenges to attend to, and therefore, could not assure the Senate of the time frame to complete work on the bill. He disclosed that he might have to travel out of the country in the near future to attend to his health. Philip Aduda (PDP FCT) has been in the Senate since 2011 and had served as a two-time member of the House of Representatives from 2003 to 2011. Ali Ndume (APC Borno South)-A third time Senator and Senate Leader at the inception of the 8th Senate in June, 2015 before his removal in February, 2017. Danjuma Goje (APC Gombe Central)-A third time Senator and former governor of Gombe state (2003- 2011), he is Chairman of Senate committee on Appropriation. Dino Melaye (PDP Kogi West)- Re-elected for a second time as Senator, Melaye, a former member of the House of Representatives (2011-2015), is Chairman of Senate Committee on Federal Capital Territory (FCT). Adeola Solomon (APC Lagos West)-Re-elected for a second time as Senator, Solomon, a former member of the House of Representative, is Chairman of Senate committee on Local Contents. Akpan Bassey (PDP Akwa Ibom North East)- Re-elected for a second time as a Senator, Akpan, a former Commissioner for Finance in Akwa Ibom state, is Chairman of Senate Committee on Gas.